After their first adventure with their magical nanny, Jane and Michael Banks have grown up – and Michael has three children. 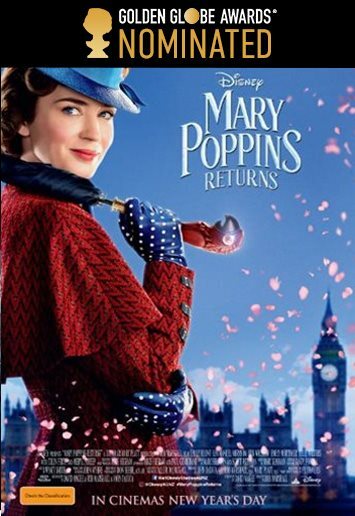 And now, ‘Mary Poppins Returns’ to help them again. They’ve suffered a personal loss, and the wonder has gone out of their lives. But with the help of the practically perfect Poppins, as well as a local lamplighter named Jack, they’ll be able to rediscover the joy and magic they once shared. Let’s go fly a kite for ‘Mary Poppins Returns’, with Emily Blunt taking up the umbrella as the supercalifragilisticexpialidocious nanny.